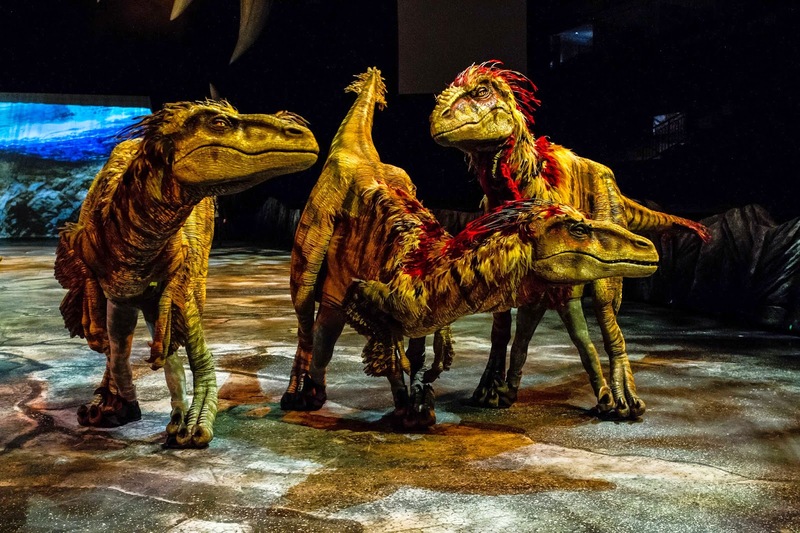 When Walking with Dinosaurs first came to Montreal five years ago I went to see a performance at the BellCentre. I must say I have always been fascinated with the fact that these creatures once roamed the earth and for that reason I loved the show Land of The Lost as a kid and saw all of the Jurassic Park movies. Well the show was quite spectacular. In fact it does not take long to believe that you are seeing real dinosaurs. Some raptors on the prowl. Following a strong first world tour in 2009, eight million people have seen one of 2,000 performances in 243 cities.Walking With Dinosaurs the Arena Spectacular will be back for a limited time, from August 13 to 17(English shows on the 14th at 7 p.m. and the 17th at 11 a.m.) at the Bell Centre. "Walking With Dinosaurs The Arena Spectacular is a one of a kind production," says spokesperson Terey Summers. "It provides a spectacular entertainment experience built around the intrigue of the dinosaur. For children and adults alike, dinosaurs have a mythical quality and mystique. Yet we know with scientific certainty these massive, beautiful creatures existed. Walking With Dinosaurs takes that scientific certainty and breathes spectacular theatrical life into it, providing us a peek into what life most likely was like for these creatures and their fight for survival as we are transported back 65 million years to their rule on earth. Nothing else really offers this kind of experience in scope and quality." The show is factual, exploring the evolution of dinosaurs while discussing the impacts of climate and geographical shifts which led to their extinction, which are presented via a narrator. Since the show’s initial run, a new mainstream discovery has changed the way we think of dinosaurs: they had feathers! There are 20 life-size dinosaurs, including the terror of the ancient terrain, Tyrannosaurus rex! Be amazed and thrilled as the greatest creatures ever to walk the earth return before your eyes. "Walking With Dinosaurs is built on the latest scientific research," Summers explains. "Through the character of a paleontologist named Huxley, we are taken on a very entertaining but completely educational journey of the Triassic, Jurassic and Cretaceous periods, wherein dinosaurs ruled our planet and fought for their survival until their extinction." 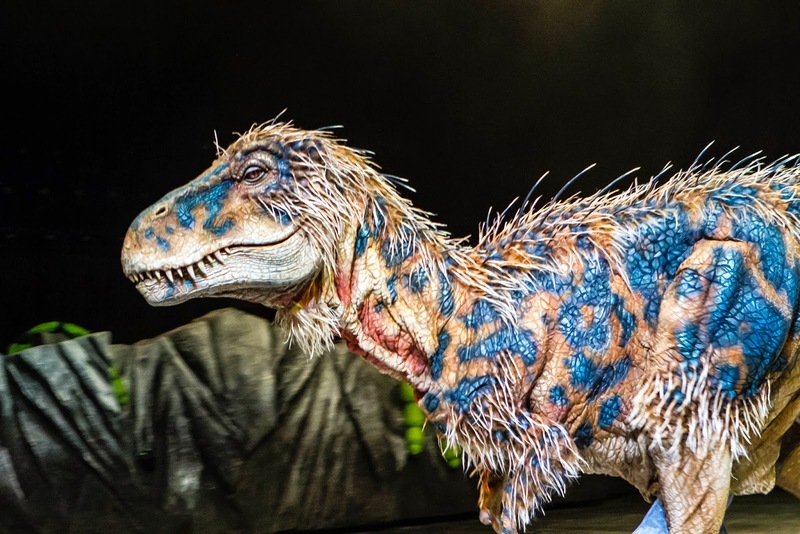 The show also includes the Plateosaurus and Liliensternus from the Triassic period, the Stegosaurus and Allosaurus from the Jurassic period and Torosaurus and Utahraptor from the awesome Cretaceous period. The largest of them, the Brachiosaurus is 36 feet tall, and 56 feet from nose to tail. Says Summers: "This current tour still provides the awe inspiring spectacular production it did in its original 2007 visit to North America,with the added thrill of the latest scientific findings reflected throughout the show, with the feathering of many of the species or dinosaurs represented, as well as the second generation of our state of the art technology behind these theatrical lifelike creatures. The true lifelike quality and beauty of these creatures never becomes too familiar, so that even those of us who see them daily and work to bring them to life, are at times caught up in their awesomeness and sheer presence among us. It's the coolest work environment ever!"